We had two birthday parties to go to yesterday. Which means there would be a lot of unwholesome eating in one day. I try not to be too strict with my kids with that stuff. I don’t want them to form a negative relationship with food because “mom never let us eat “junk””. At home I feed my family what I believe to be the highest quality foods and nutrient dense meals, and when we are out, while I still try and make sure they don’t spend the whole time gorging themselves with sweets, I let them eat what is offered. I do put a limit on things such as “You either get a piece of cake OR a cupcake. You get the juice box OR the ice cream”. They are still just children and need a little bit of guidance, no? For the most part they are on board with this. And if I do catch my 6 year old daughter sneaking an extra piece of cake, or juice box or cookie (or anything else, because this happens, often) I try not to make her feel bad about it. I use this as an opportunity to check in with her and ask her how it makes her body feel, or if it makes her happy to eat sweets, or any other question that comes up that will allow me to have her be in touch with a deeper part of herself versus just the immediate palate satisfaction. While eating just for pleasure is fine sometimes, when it happens too often, it is not just for pleasure anymore. If it were up to my daughter, she would have it all, 3 times. My son can easily have his piece of cake and go right back to playing. The baby, well since he is only 15 months, has not really been exposed to sugar yet. Holding off as long as I can on this one. With two older siblings its just a matter of time. While I get my kids to drink their smoothies and juices regularly, they still sometimes put up a fuss. The Party Smoothie is easy because they know we are not leaving until their cup is empty. 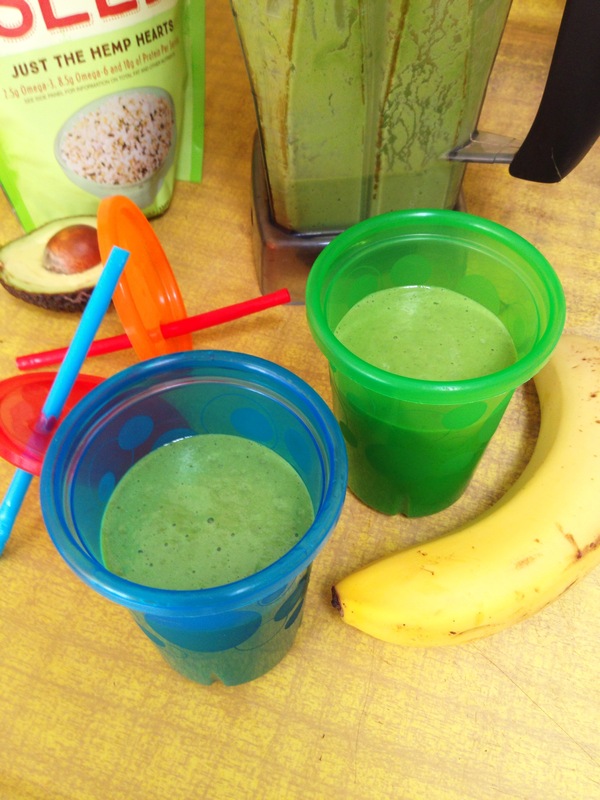 I make sure to remind them that this smoothie will give them lots of energy so they can play for along time. Optional: a handful of sprouts because I had some handy. 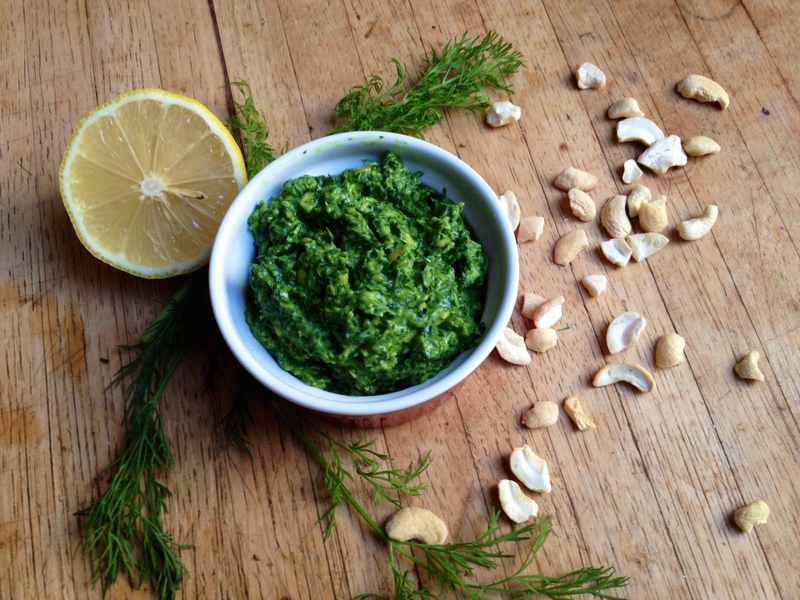 The refreshing dill combined with the smooth rich avocado balanced with the crunch of the cashews makes for a nice alternative to the usual pesto. 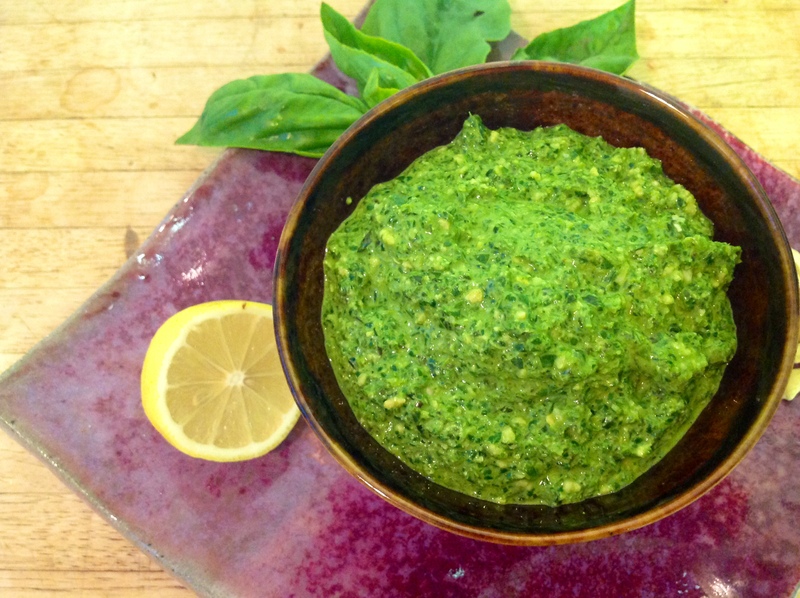 I eat pesto frequently as it is a perfect topping for raw breads, raw crackers, zucchini pasta, and much much more. So switching it up is a nice way to keep things interesting in my plate without making huge changes. This pesto came about because of all the ingredients I had in my fridge. If you don’t have parsley, try another herb. If you don’t have spinach use another leafy green. The main ingredients that I wouldn’t change here are the dill and the avocado.